In October, a brand new members' wellness & lifestyle club opened in Notting Hill. I was invited west to try out Cloud Twelve for a day and it was incredible! If you're vegan, if you have small children or a baby, or if you just want to unwind in a luxurious setting, Cloud Twelve is for you. My intention was to go in for a massage in the Cloud Twelve spa, leave Zara with Peppe in Notting Hill and then meet up after the massage - but, when I was browsing their website, I saw there was a crèche and booked Zara in for the reservation period so that I could head to the sauna with my friend Louise. Upon arrival, we were shown into the most incredible interactive play facility! I was so happy I chose to take her along - it was so beautiful that I ended up taking a million photos of the family space (and none of the spa/relaxation area as I was relaxing without my phone)! So firstly, here's a look at the play area. Parents can play with their children here, or you can book them in to be looked after by very friendly crèche staff. Zara played with the team and immersed herself in the sensory overload and didn't miss me at all - it was the first time I left her with someone I didn't know, but as soon as I saw the space and met the ladies I was completely reassured. There's a mini climbing wall, a slide, a ball pit, a boat and so much more! The play area has a focus on sustainable toys where possible, and there are lots of wooden toys & games dotted around. There's are also classes for older children, and there are even mum & baby movement classes like yoga. Even the childrens’ bathroom (below) is themed like a log cabin with buckets for sinks. It’s a real joy to spend time there. And the baby-changing facilities are a dream! Two stations, a clean bin area and a plethora of cruelty-free & vegan baby toiletries await alongside a fresh & natural room fragrance. I wanted to clone it and take it home with me. We went from the crèche up to the spa, passing the brasserie. First we had a tour around the salon (below), where you can forget the plain hard chairs of a regular salon and sink into Anthropologie-worthy armchairs while having a cruelty-free, vegan manicure. There’s also a hair salon where you can treat yourself to a blow-dry by one of Cloud Twelve’s in-house hairdressers. Next up, we went through to the changing rooms to get our robes on. I've honestly never seen such attention to detail in a spa - the locker faces are hand-carved from wood in Bali, and they’ve opted for more sustainable towels made from wood fibres. As I mentioned, I left my phone in my locker during our spa time - having a couple of hours away from Zara was a blessing (as much as I love and am attached to her), so I wanted to be as far away from technology as possible! I had an aromatherapy massage by skilled masseuse Sue, whose firm touch got all the knots out of my back. The bed was heated and she used massage oils that were suitable for a mama who’s breastfeeding like I am. It was so dreamy, I left feeling 3 inches taller than when I went in! 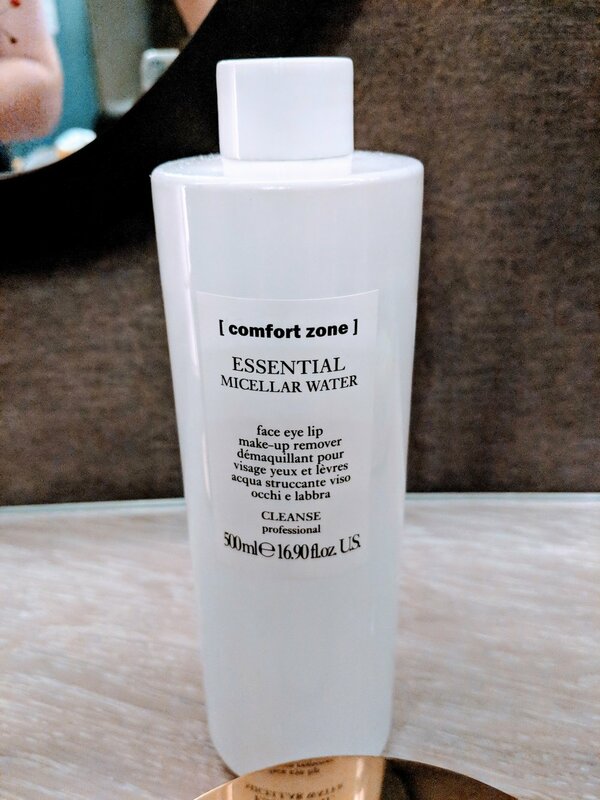 After using all the rooms - the sauna (nice and clean), the steam room, the salt inhalation room (with a wall of pink Himalayan salt) and the relaxation room filled with comfy chair-bed-things, we headed for the showers and used some of the vegan shower and after-shower products, like micellar water, which Instagram tells me is a must-have, but the purpose of which is still unknown to me. It felt premium anyway :’). After all that relaxation, it was time to retrieve Zara and head to the family eating area. The menu is fully vegan and fully delicious! I opted for the Forest Mushroom Linseed Bake and the Spinach and ‘Ricotta’ Filo Parcel (pictured below), and they were both so tasty. Perfect comfort food for an autumnal lunch while keeping it plant-based. They also have weaning bowls and kids’ meals for the little ones. To drink, Louise had an oat milk flat white and I had a matcha latte. The crockery was just as beautiful as everything else at Cloud Twelve! Even the family area was filled with greenery, which is a refreshing change from the usual plastic and crayons vibe when eating with kids (not that there’s anything wrong with crayons - they just had so much fun stuff here for babies to be busy with that we didn’t have to deal with crayon mess)! We headed back to East London feeling so refreshed, which is a real feat considering I had an eight-month-old strapped to my body for the journey home. I’m not sure if the name or the concept came first, but I get why they call it Cloud Twelve. I hope to be back again very soon! 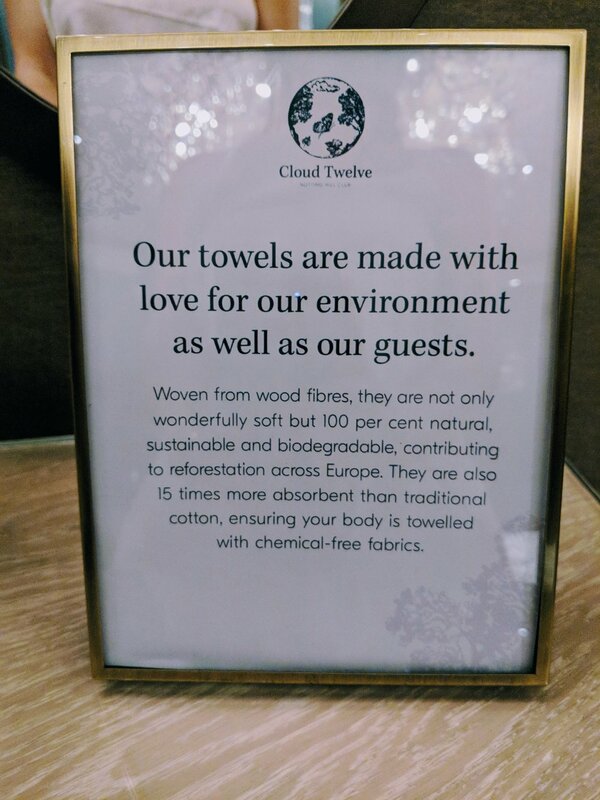 Have you visited Cloud Twelve yet? What did you think of the facilities?